The famous though goes: an author has a writer's block and she/he ends it by writing something about - vampires. No one can deny that the world did not have its share of vampire fiction in almost any and every imaginable form. From crunchy kid snacks to video games, count Dracula and other like him have marked the pop culture landscape ever since Bram Stoker got us hooked on these creatures of the night. The horror comedy is an award-winning web series about a vampire with an unusual appetite. 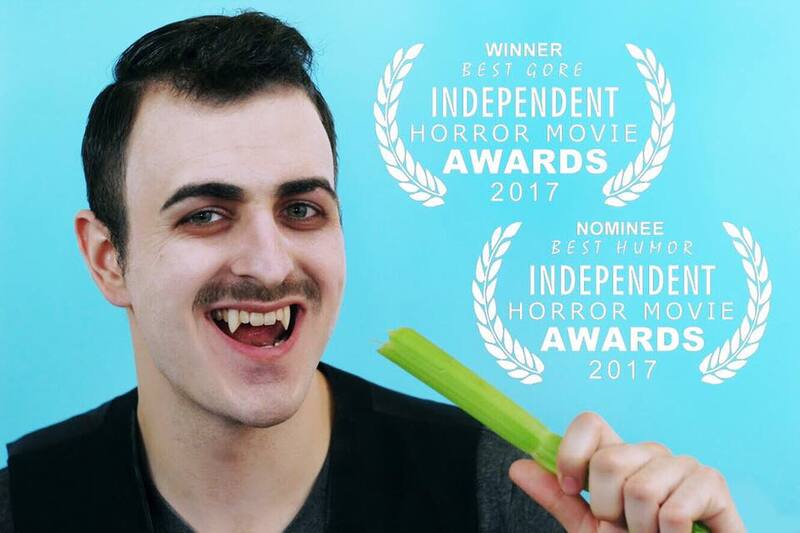 David J. Marzano stars as Eugene, a vegetarian vampire and outspoken advocate for �human-vampire relations�. His carnivorous brother Lenny, played by Peter Coleman, constantly tries to keep Eugene�s taboo diet under wraps, often causing some �bat blood� between the two. It doesn�t take long before tempers rise, guts spill, and craziness ensues. The premise seems simple and fresh, doing a route similar to indie films like Summer of Blood. The first episode of this series was shot back in 2014, but now, the directors decided to dig it up (pun intended) and make it into a new and prolonged work. As the trailer shows, there is plenty to be hopeful about, especially because of what looks like a great script which is well-acted by everyone shown in this short teaser. Both factors are a pleasant (and sorely lacking) appearance in any indie cinematic work, but they are especially interesting when they appear together. Finally, in spite of the vampire topic, the work seems anything but dull or unoriginal, which is already a big success for its creators. The web series should appear online later in October 2018, but until then, check out more about Fruit Bat web series on its official Facebook page and of course, don�t forget to check out its trailer.